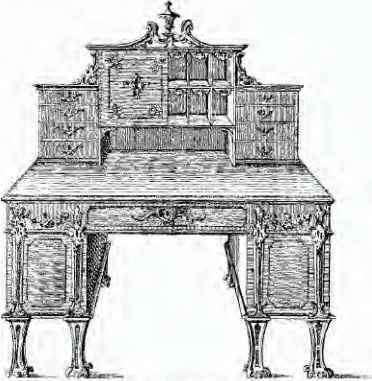 The reader will notice that in the examples selected from Chippendale's book there are none of those fretwork tables and cabinets which are generally termed "Chippendale." 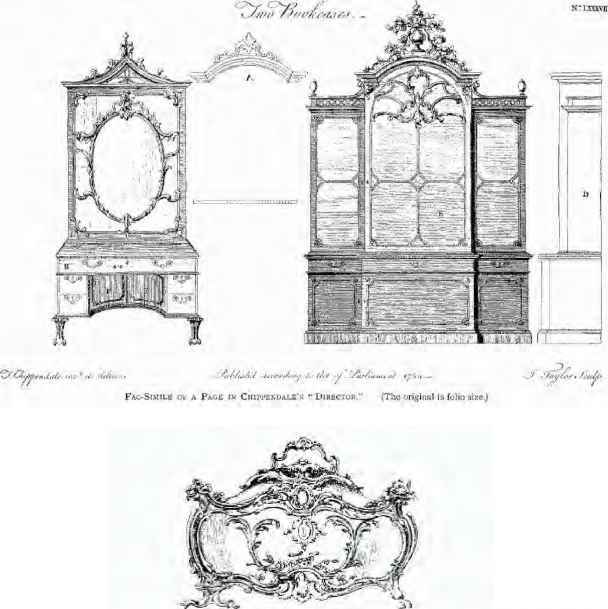 We know, however, that besides the designs which have just been described, and which were intended for gilding, he also made mahogany furniture, and in the "Director" there are drawings of chairs, washstands, writing-tables and cabinets of this description. 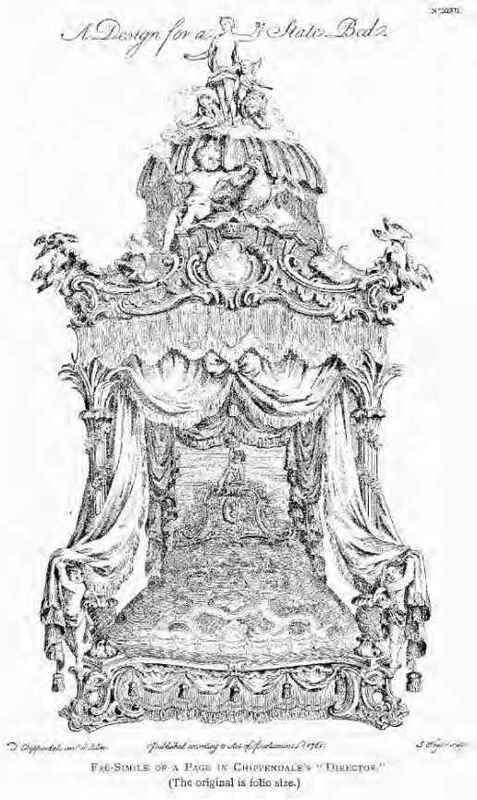 Fretwork is very rarely seen, but the carved ornament is generally a foliated or curled endive scroll; sometimes the top of a cabinet is finished in the form of a Chinese pagoda. 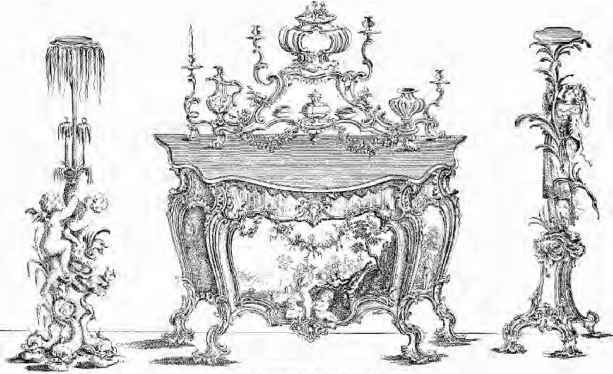 Upon examining a piece of furniture that may reasonably be ascribed to him, it will be found of excellent workmanship, and the wood, always mahogany without any inlay, is richly marked, shewing a careful selection of material. :.|| ■ I'.fjiprTidale ■ ■ Ê i.-'-il. 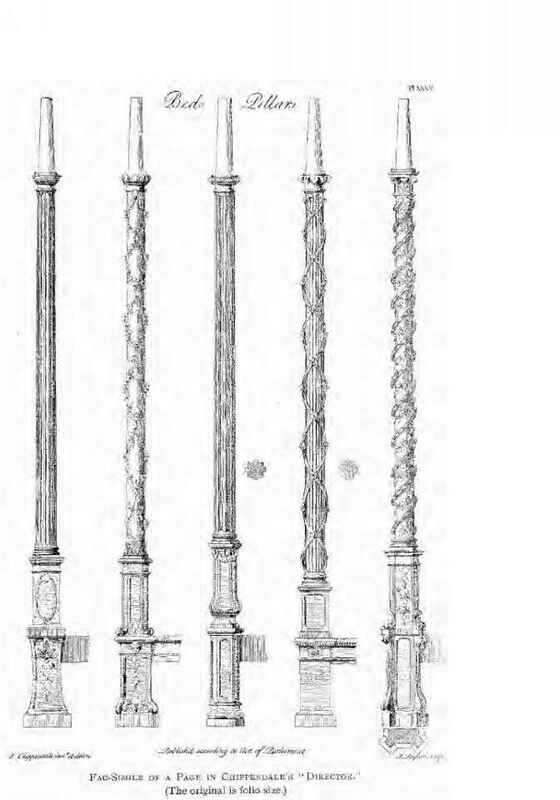 ',"
F BENCH COM MODË ANO LAMP STANDS. 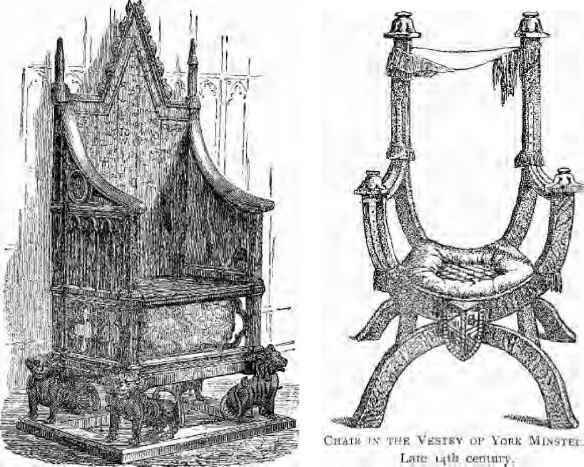 ÜESiBKEP BY T, í.:¡Jii'l'£WUAJJ>_, Atfí* i-UbLÍÍIIED LS JJIli 11 Hl RECTIUf. "